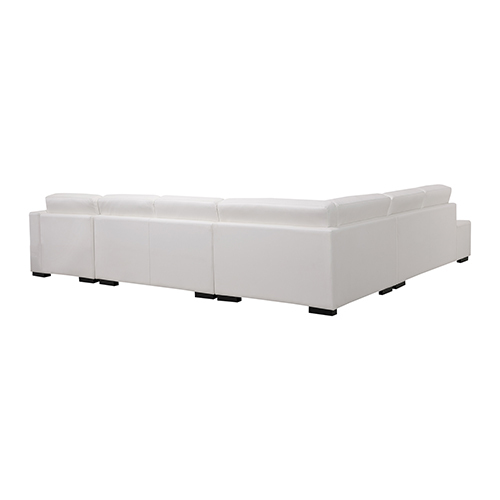 Add a sleek modern vibe to your living room with this luxurious sofa. 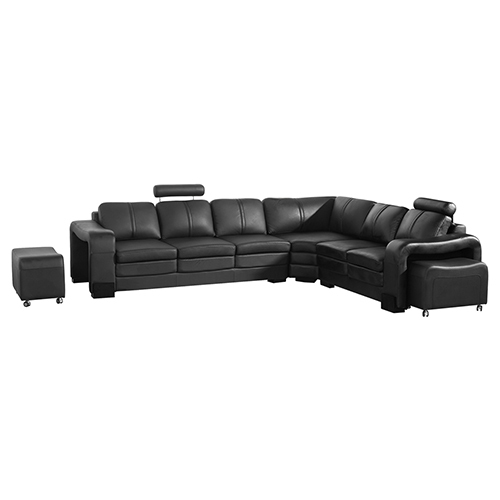 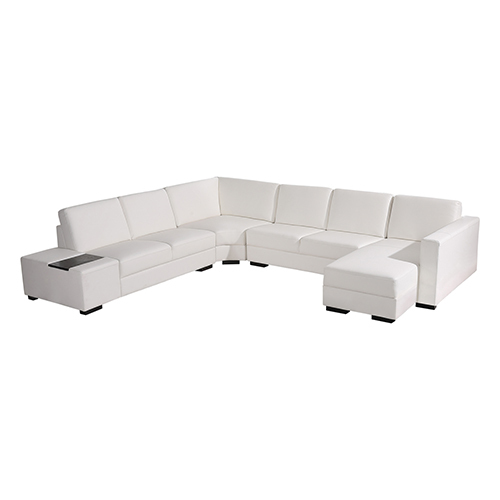 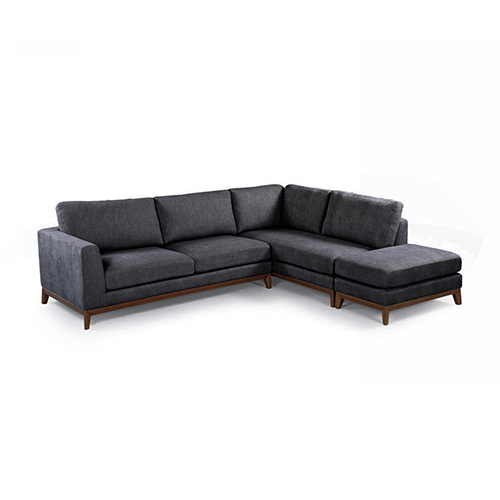 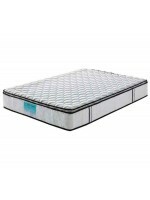 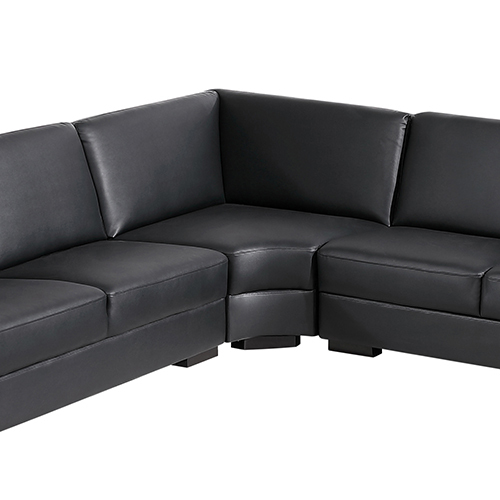 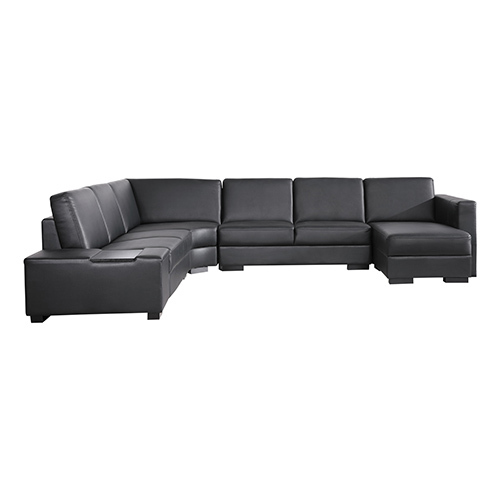 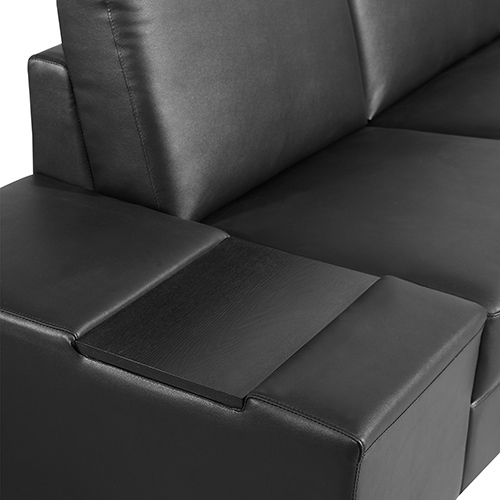 It is upholstered in premium bonded leather for an inviting look and long lasting shape. 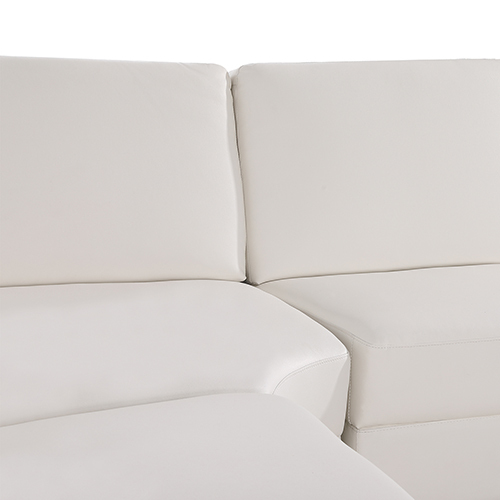 Plush pillow back cushions crafted with high-density foam ensure superior comfort. 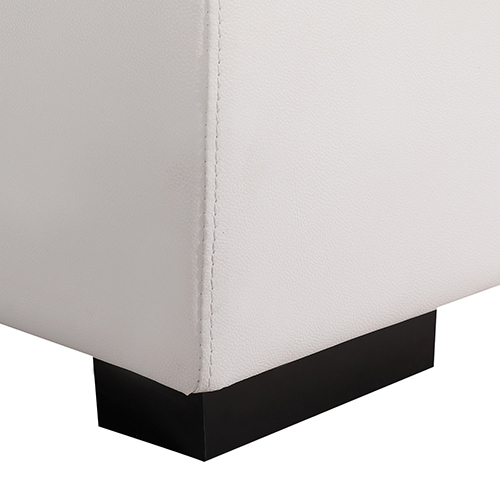 The corner curve lets you pull your feet up and interact at a comfortable angle, rather than being parallel to the other person. 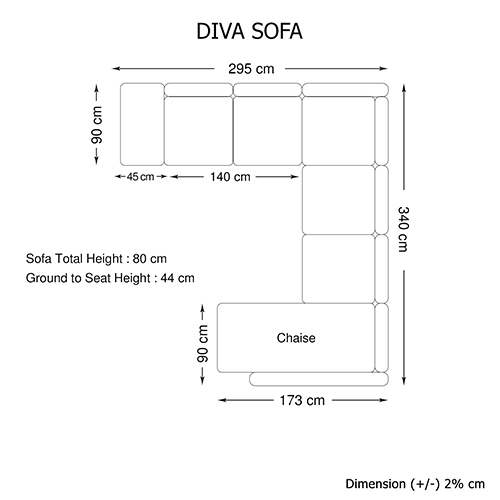 It is also highly suitable to watch TV while sprawling on the chaise section. 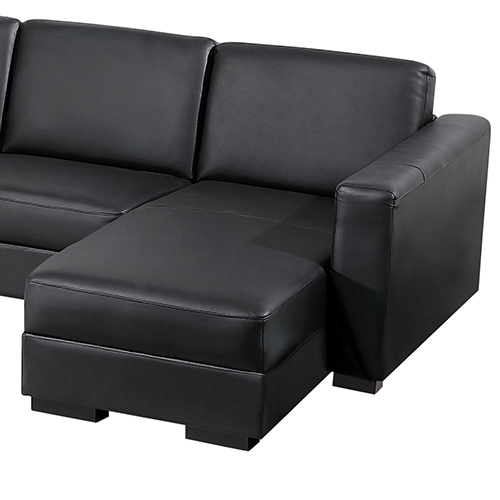 This is a versatile piece of furniture. 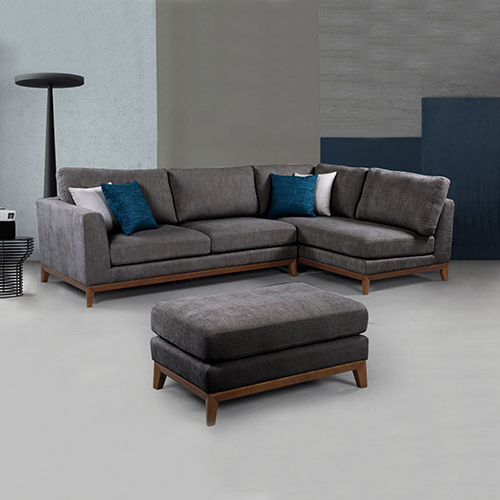 Besides serving the purpose of seating and leaning arrangement, it comes to you with an inbuilt wooden table on one side of the sectional. 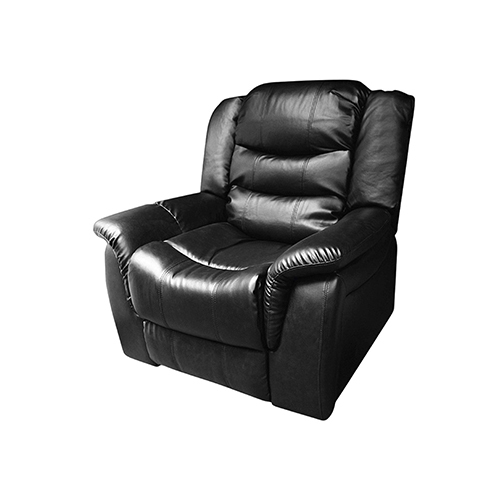 You can keep your morning tea or evening snacks on it and enjoy leisure time. 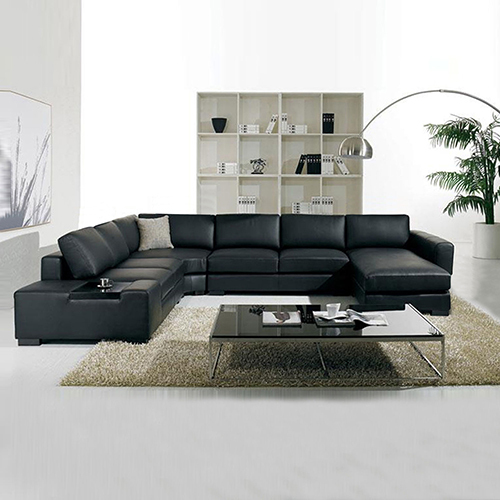 This luxurious, modern sectional sofa has an attractive feature. 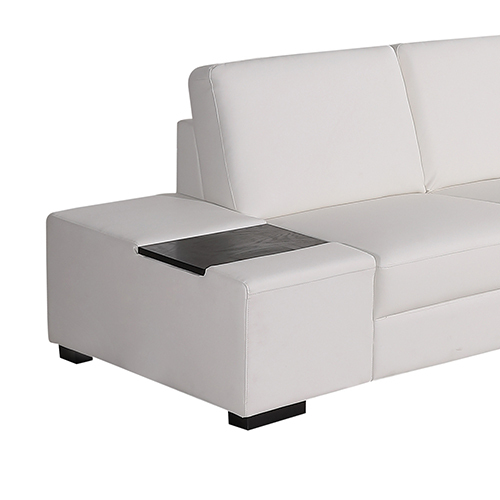 Right side section of the sofa has light inside the glass cover on white colour sofa only. 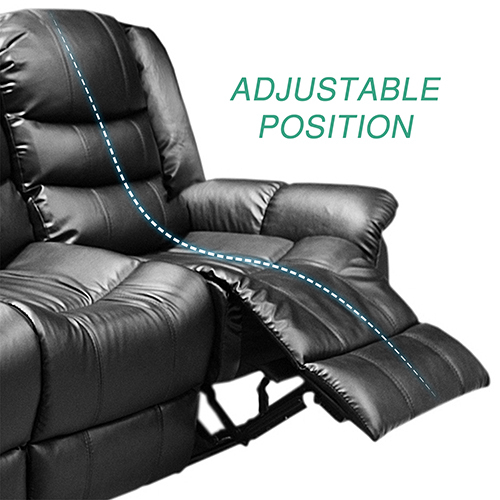 Here, ʺright-sideʺ describes the position of the arm when you face the piece. 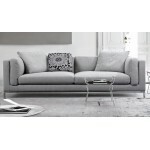 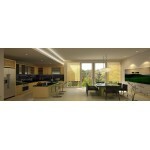 This feature makes it a very alluring choice to the sophisticated people.